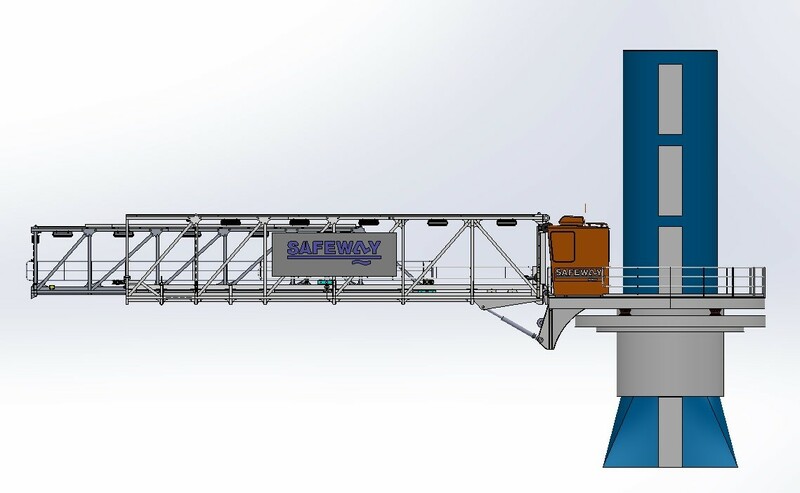 During the WindEnergy 2018 fair in Hamburg, Safeway BV based in Dordrecht, the Netherlands, introduced its third type of high-tech ‘motion-compensated’ walkway under the name ‘Safeway Albatross’. Safeway already has two types of active walk-to-work systems on the market, namely the ‘Safeway Seagull’ and the recently added ‘Safeway Osprey’. With its balanced design, the ‘Safeway Seagull’ surprised the market with its excellent field performance. The ‘Osprey’ is designed for maximum integration in SOV-type vessels. The main aim of the new ‘Albatross’ design is to offer increased flexibility to shipping lines and operators. 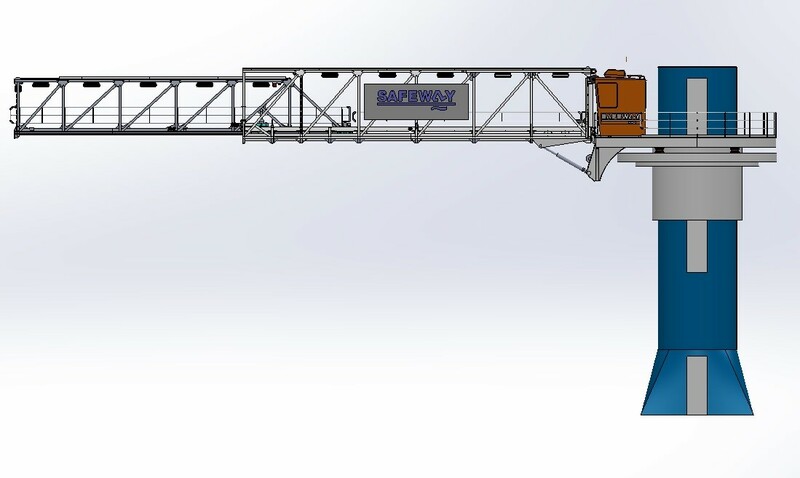 The most unique feature of the ‘Safeway Albatross’ is that a lift is integrated in the mast of the installation for the transport of goods, pallets and people. 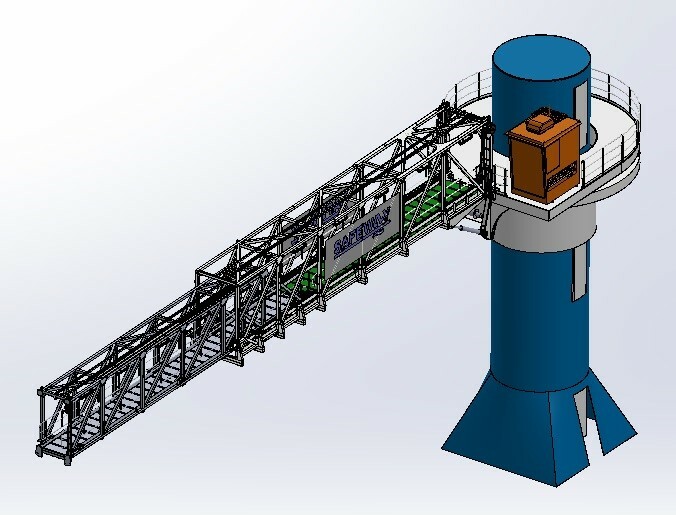 As an option, the lift can be extended to the below-deck storage hold of a Platform Supply Vessel (PSV). According to Safeway, part of the Van Aalst Group, the stable boom of the new ‘Safeway Albatross’ can be rotated through 360 degrees, offering significant advantages. 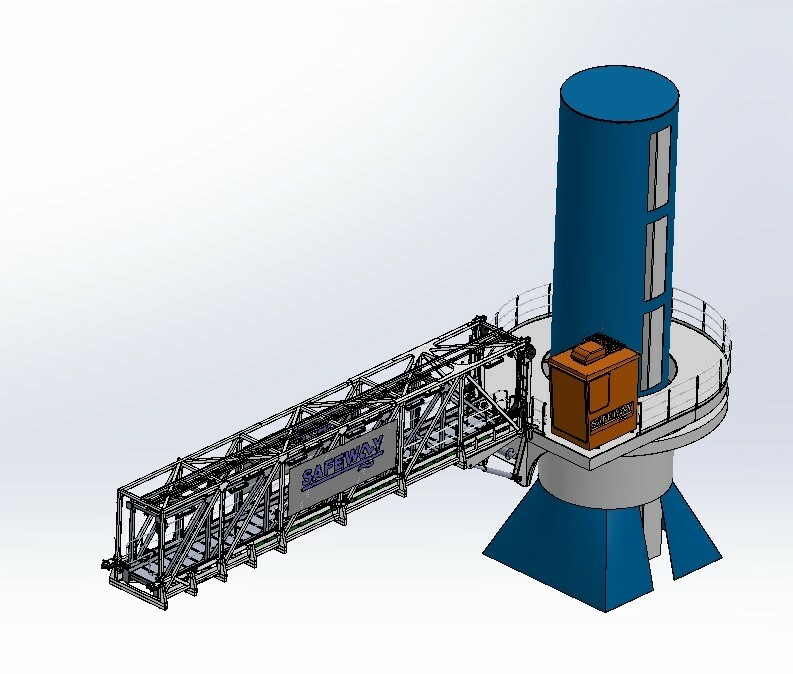 One advantage of this feature is that the mast can be mounted centrally on the deck of a PSV. It also means that the 30 metre-long gangway can be manoeuvred towards the stern, port or starboard, for the safe transfer of workers and their tools from the vessel to the offshore construction, at a spectacular pace. Thanks to the 30 metre length of the boom, the gangway can be positioned centrally on vessels with a maximum beam of 20 metres. A centreline position is the optimum position because ship movements at this point are kept to a minimum. The increased boom length also means less movement of the gangway, so that transfer operations can be carried out even more safely. Safeway has announced that it is possible to supply an optional variant with a boom length of up to 32 metres. 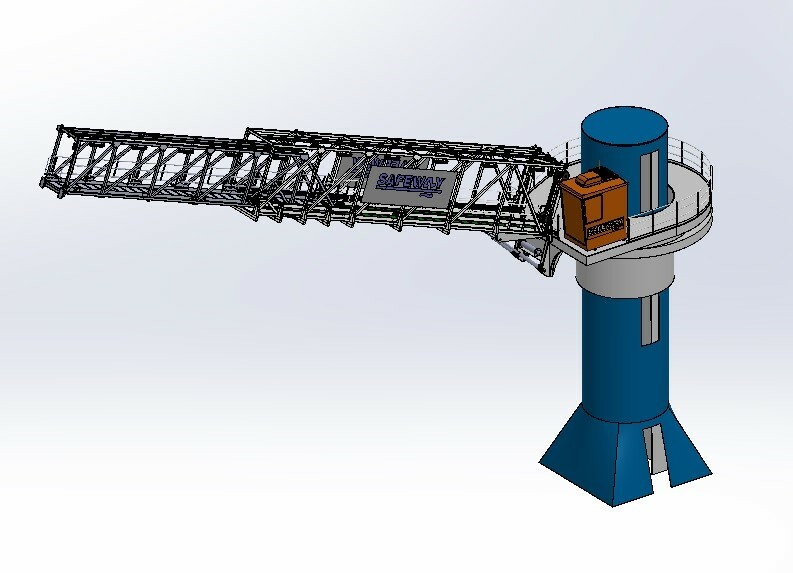 This gangway can be mounted on vessels with a width of 24 metres, enabling ship operators to deploy even more vessels from their fleet for identical activities. 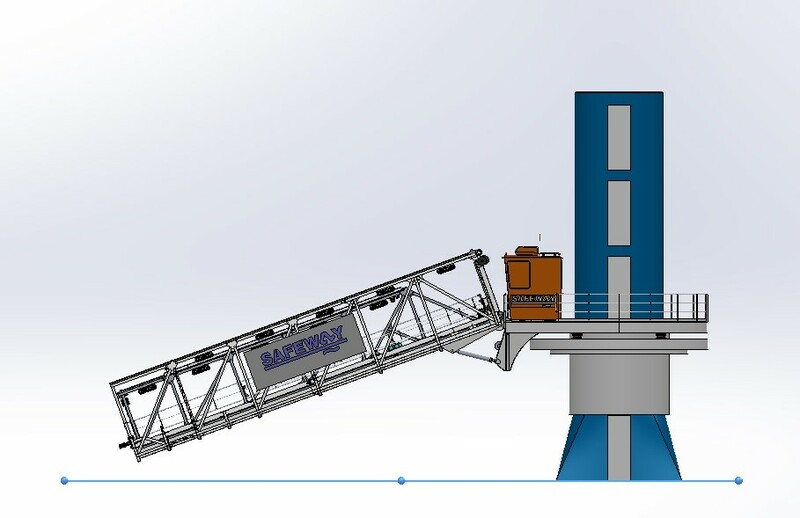 The above described patent pending construction means that the ‘Safeway Albatross’ offers a degree of flexibility never previously seen in the international gangway industry. Since the Seagull-type gangway was introduced, its cargo function has proven to be second to none, in practice. The presence of a smart Safeway A-Frame construction enables the ‘Seagull’ to achieve a lifting height that cannot be matched by other solutions available on the market. Another important advantage of the Safeway A-Frame is that at the touch of a button, the operator can switch in just 20 seconds from People Transfer Mode to Cargo Transfer Mode. 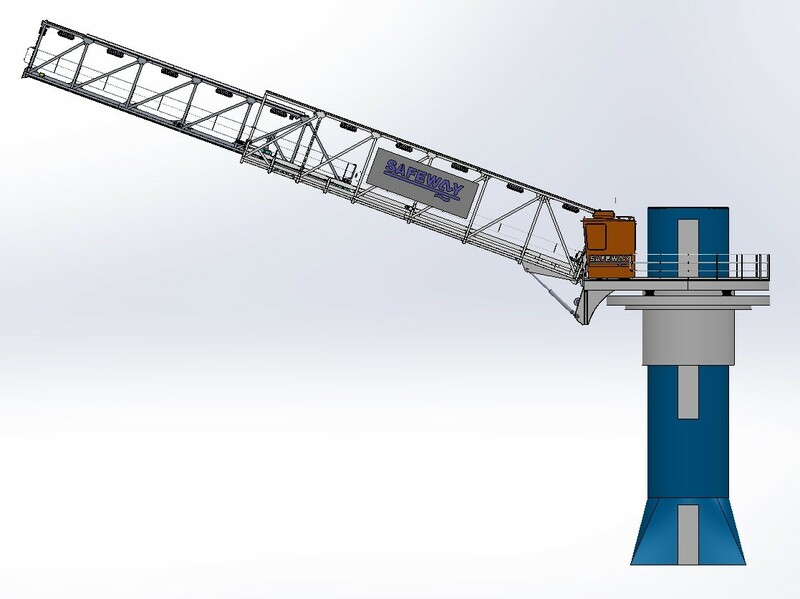 Practice has shown that this 3D crane function is used far more often than was initially expected. In this sense, too, Safeway has once again raised the performance bar. As well as a lifting capacity of 1000 kg, a variant can be supplied as an option with a lifting capacity of up to a spectacular 2500 kg. As a result, it is possible to adapt the planning of offshore operations so that work can be completed faster, more efficiently and more safely. This places Safeway at a considerable advantage in respect of the established order among gangway builders. 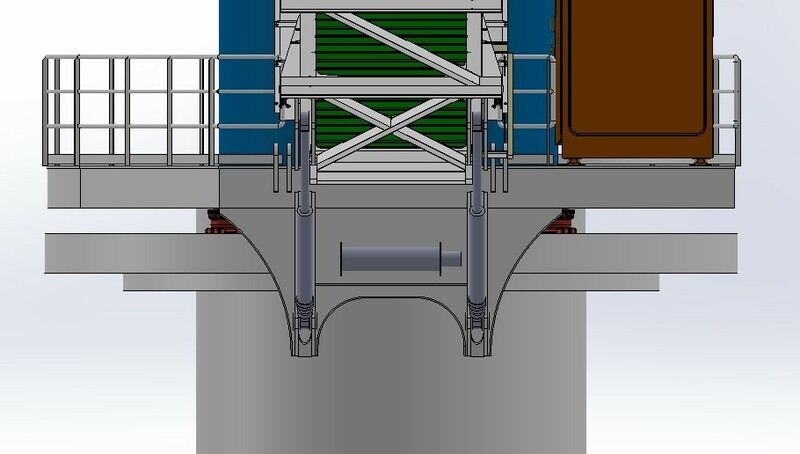 Another unique feature is that the standard covered gangway offers height adjustment of 18 metres. Including the upward and downward luffing capacity, this results in a vertical reach of 10 metres, without the need for any alterations to the pedestal. 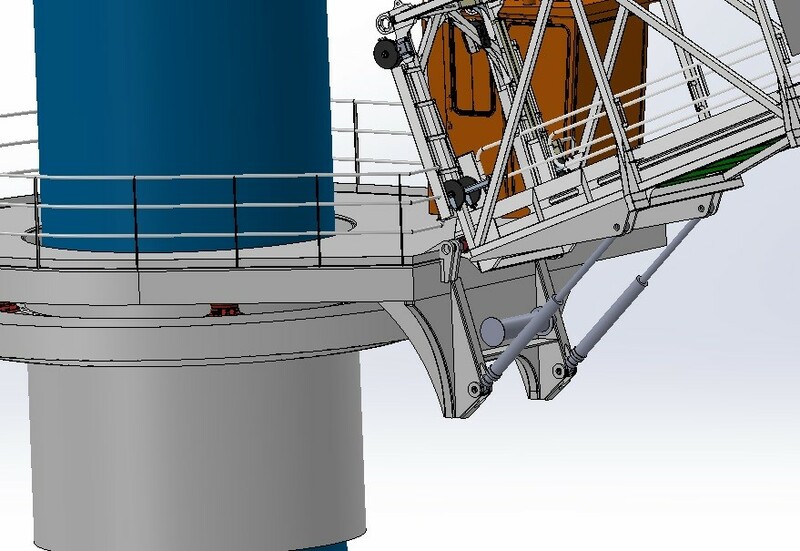 As a consequence, the lift can be halted at three different heights, to allow direct access for passengers to the offshore structure, be it an oil and gas production platform, or a wind turbine. To achieve even higher transfer speeds, an option has been included to create ‘continuous access’. This generates huge time savings, particularly when it comes to transferring large groups of people in a short period.